Two weeks ago, I shared some thoughts on the effects of busyness on the heart . When I’m too busy for my own good, everything—and those closest to me—suffers. A too-busy heart—a too-busy life—has no room in it for connections . . . with Jesus, or with those around us. We respond to people and situations on a surface level, because there’s nothing in us that can dig any deeper. We’re in the midst of celebrating two of the biggest holidays of the year. I know most of us want to savor, not rush through them. How do we do this? The following list is a compilation of my ideas interspersed with some friends’. Make time with Jesus a priority. Be intentional about getting to bed early to spend time with Jesus every morning. Work time for stillness into your daily schedule. Even if it’s only five minutes, take time to be still. Whether it’s in prayer, or just sitting, with music blanketing you. Eyes closed, maybe (I know, that could lead to a nap . . . )? Make time in each day where you are screen-free. Turn screens off. Engage with family or friends. Spend a little time reading from a book, or resting your eyes. Choose to be present in each moment. Be intentional about making eye contact with people. Don’t let a mental to-do list dictate where thoughts dwell when talking with other people. My friend Lisa Marie suggests: determine what’s important to your family for celebrating Thanksgiving and Christmas, and pick the activities that help you accomplish those things. Hubby and I hope to teach our boys what we’re really celebrating at Thanksgiving and Christmas. We try to choose activities that reaffirm this for them. Author Lisa Jordan and Shirlee Abbott encourage us to keep our expectations in check. We tend to build up the expectations for what we think we can do/should do for the holiday. When we strive to meet all those expectations, we fall short and end up weary and disappointed. We’ll be a lot more at peace if we lower our expectations. Author Jill Weatherholt recommends enjoying each moment, even the crazy ones. We never know what the next year will bring. It’s okay to say no to some of the invitations you receive. ‘Nuff said. Author Michelle Ule and Shelli Littleton suggest doing as much ahead of time as you can. Whether it’s food prep, writing blogs, or something else, completing it in advance frees up time and mental space during the holidays. 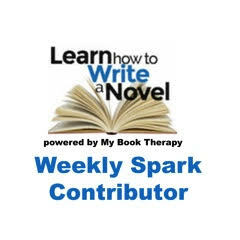 Author Sondra Kraak suggests being willing to give something up. Know your non-negotiable activities, and be okay with saying No to the negotiable activities . . . if you need to. If there is an activity or tradition that’s stressing you out, evaluate if that activity needs to be done this year. Diana Zatarain recommends making a list of the things you need to do, and then marking the priorities. Focus on these first, and tackle one thing at a time. Author Robin Bayne recommends starting preparations for our holidays early. October’s not too soon (Well, it may be for this year). When we give ourselves enough time to prepare for the season, it alleviates stress. Asheritah Ciuciu and Karrlee Aggett have great words for helping us keep a good mindset in weary-making times, as well as some practical suggestions for living well through this coming season. When we’re intentional in setting our priorities, we can thrive, not just survive the holiday season. Our hearts will be ready to celebrate Jesus, His birth, and the amazing gift He’s given us. Here’s to having hearts that are ready to embrace the holiday season and those around us! What about you? What would you add to this list? What is your number one tip for enjoying, not rushing through the holiday season? I’m linking up with Purposeful Faith and Holly Barrett today! Hi there, Jeanne, these are good, practical tips. Now to just live them! Every year I tell myself I’ll start early, but I almost never do. I do find that when I get gift shopping out of the way early, it relieves stress for me. (Maybe shopping in crowded venues stresses me more than anything.) Last year, we asked each person in the family to choose one holiday activity that we would do for sure. We focused on those and did other things only as we had opportunity. I love your idea of asking each family member what they most want to do during the holiday season. I’m going to have to try that. Thank you so much for stopping by! I love the list today about the holidays. I have had to create my own mental list especially this year because my desire is for quality time over everything else. I was asking my sons yesterday if they were okay with me not putting up as many Christmas decorations. They both agreed. I love Christmas but more importantly my goal is to be present and soaking in the story that God so beautifully lays out for all of us with the birth of His son. My one son is also getting married on December 27th and that is the story that I want to be present for in so many ways. Thank you for affirming for me that being present and putting God first are important and should be at the top of our list. Happy Advent! Mary, this: “I love Christmas but more importantly my goal is to be present and soaking in the story that God so beautifully lays out for all of us with the birth of His son.” I couldn’t agree more. You say it so well. I hope you’re able to live truly present in each of the holiday moments, and especially for the upcoming wedding. What a wonderful even to look forward to! Happy Advent to you too, my friend. It’s always fun to spend time with our kids, isn’t it, Shelli? How fun that you guys went shopping and found what you wanted/needed. 🙂 Thanks for adding to our conversation. What wonderful and incredibly important tips you have shared here. I’ve been so overwhelmed with busyness lately. It’s even pushed me into depression a few times. Letting go of perfectionism is one I’m really working on right now. Thank you for this much needed list. Many blessings to you and yours in this busy holiday season. Candace, thanks for your kind words! I’ve been in that place where busyness pushes me into depression, or other places I’d rather not be. I’m going to pray for you today. I hope your Christmas season holds more memories and joy and less busy-ness. I so appreciate you stopping by! These were all great tips for managing busyness. A very timely post for me! I find that trying to write blog posts ahead of time is very helpful. I also feel as though the Lord is moving me to take a vacation from blogging the week before Christmas so I can wholly focus on Him and my family. Thanks for this helpful post! Much appreciated! I’m so glad you found this post helpful, Karen. 🙂 Writing blog posts ahead of time is a great help! I took a vacation from blogging last December, and came back refreshed. It’s always a good thing to do, especially at this time of year. Enjoy your time with Jesus and your family! Thanks so much for stopping by! Great ideas! Thank you 🙂 I love letting go of perfectionism and having some non-screen time. So hard, but so needful. Hey Jeanne … it’s so good to meet you this week! I love all your tips and links and wisdom spread through your writing. It’s so helpful when we can be purposeful about our yeses and nos, especially this time of year, clearing the way for what matters most. Exercise! Even two, fifteen-minute brisk walks around the neighborhood will help elevate a person’s mood and make all those other things seem manageable! It’s hard when it’s dark outside, but grab the family and go enjoy the lights in the neighborhood after supper ;). Sorry I didn’t comment before. You are so right, Anita! Exercise is a GREAT priority to have. It’s one of my weaknesses, in that I’m consistently inconsistent when it comes to exercise. Sigh. I’m going to change that, and think of you when I do. 🙂 I love that you’re able to walk and enjoy the lights in nearby neighborhoods. 🙂 So fun.